The Vecchio: the Retro scooter batteride! designed in the style of the old vespa scooter. The Vecchio: the Retro scooter batteride! designed in the style of the old vespa scooter. Vespa was originally a (war) aircraft manufacturer. Because of collaboration with the Germans in the Second World War in 1946 Vespa was a prohibition against the production and marketing of aircraft. Of aircraft materials had to be something else built. There was then in Italy much need for simple transport. Vespa made the aircraft a new type of moped, a scooter designed by Corradino D'Ascanio. The nose wheel of the landing gear were used, and the starters were adjusted to moped engines. The sheet material of the wings and the fuselage were used for the trunk of the vehicle. Thus arose a scooter with a design which is now referred to as the Retro model. This nostalgic style scooter is now back and Batteride also has an electric version of the Retro scooter: the Vecchio. 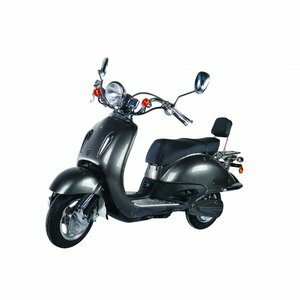 The nostalgic Vecchio is designed to retro-style, has a robust appearance, and is widely called for a moped. Was chosen for power and traction: a 2000 watt motor clearly faster than fuel engines, which are limited to 500 watts of power. He also attracts a lot faster. 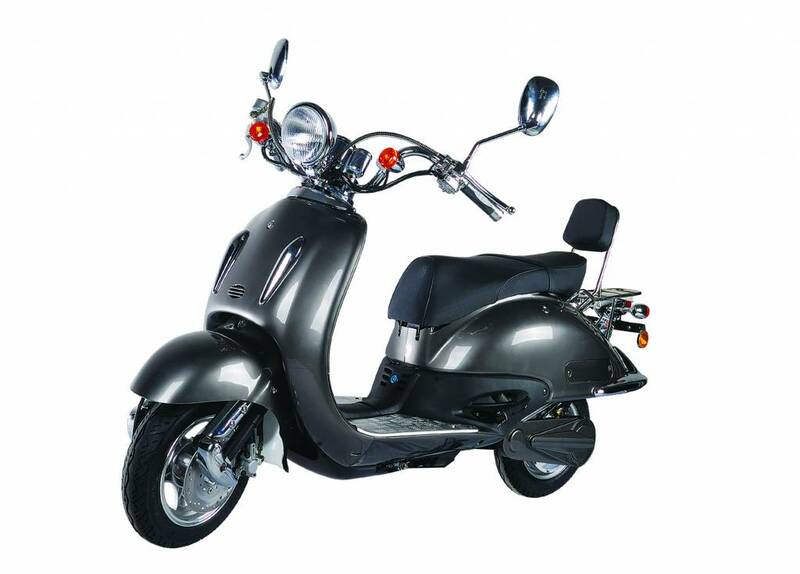 The Vecchio is available as a moped (45 km / h) and as a moped (25 km / h). The Retro is available in seven standard colors: black, white, pink, yellow, red metallic, blue metallic and gray metallic. On request you can also choose your own color (extra charge). Combinations of colors or color patterns are also possible. The British flag for example. You can also make your scooter to personalize our whole: whole in your company colors with lettering or full color logo. To safety is also thought: the scooter is equipped remsensoren: once the brake levers are squeezed, the engine is interrupted. The side stand has a sensor: you can not drive off when the side stand off. An alarm with remote control is optional.